The Wilson 12" Magnetic Mount Antenna with SMA Male Connector & 10' Coax Cable (311125) is a great accessory for Wilson Sleeks and other products with an SMA Female connector and can dramatically extend the range and signal strength of mobile signal boosters. 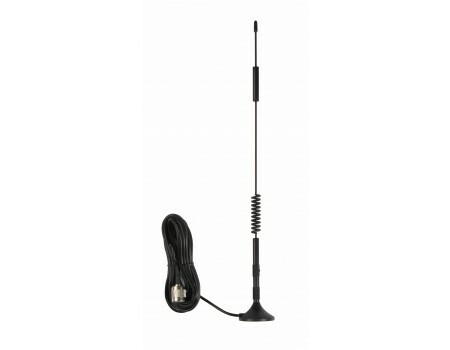 The Wilson 311125 12" Magnetic Mount Antenna with SMA Male Connector & 10' Coax Cable (previously the 301125) is an ideal accessory for mobile signal boosters with an SMA Female connector like the Wilson Sleeks. This antenna will not connect to an FME cell phone adapter cable. 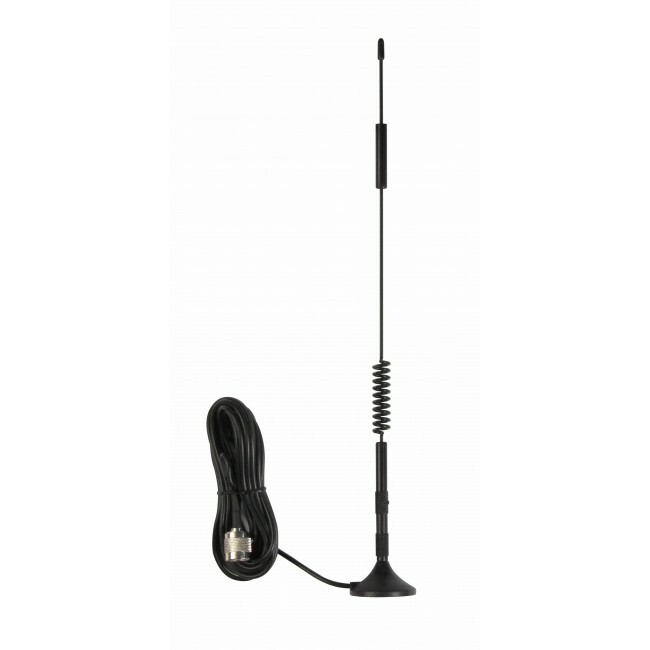 The stainless steel antenna is 12.25 inches tall and has an attached 10 ft long RG174 cable with an SMA Male connector. This antenna must be mounted on a metal surface, like the roof of a vehicle, and cannot be sitting on a windowsill or other non-metallic surface. Please refer to the following table to see the gain at each frequency. In the standard dual-band frequencies, this antenna is roughly twice as powerful as the mini magnetic mount antennas that come with the sleek kits.